Paradoxically, the more information sources available to the consumer, the more niche-focused content creators must become and the more successful they’ll be. Even in a world with 52 billion indexed web pages in Google’s database, unique content opportunities exist. You, as a marketer, have to find and exploit these content holes in your marketplace. Tractor Supply, the largest retail “farm and ranch” store chain in the United States teamed up with a guy named Andy Schneider to cut through the clutter and drive new revenue by exploiting a content hole in the marketplace. Like any good marketer, Tractor Supply creates tons of content. 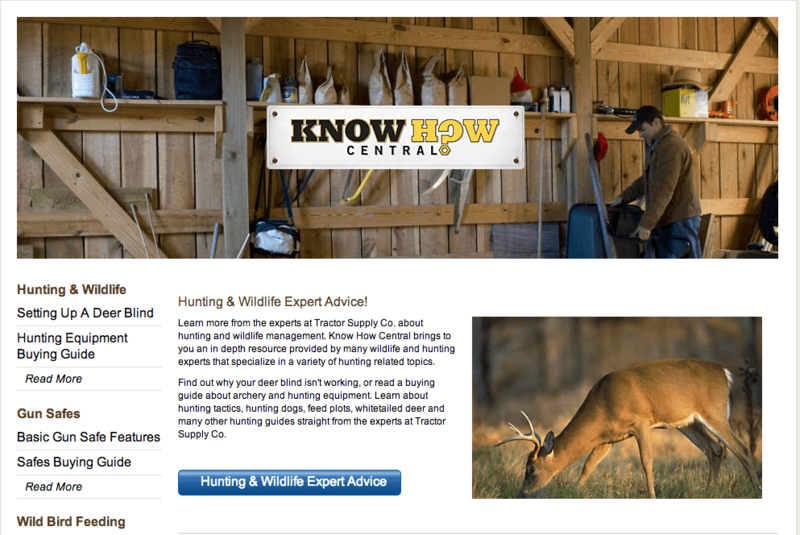 In the “Know How” section of their website you can find information on everything from feeding horses to properly operating a chainsaw. But all of this is commodity content – content that that’s widely available (so widely available, in fact, that it doesn’t add much value). Every weekday (yes, five days a week), Andy hosts an online radio show (hosted on BlogTalkRadio) about keeping backyard poultry. Whether you’re raising “show” poultry, trying to live a self-sufficient lifestyle, or just keeping a few chickens as pets, Andy and his guests answer your questions and share stories from the backyard poultry movement. 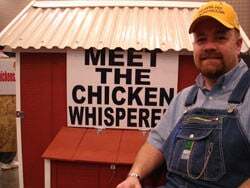 Today, 834 episodes after he started, Andy’s audience tops out at well over 20,000 backyard poultry enthusiasts from around the world. “We have truck drivers and school teachers, urban chicken enthusiasts and vegans, that all listen to our show,” Andy says. There are even “feed and seed” stores around the country that stream the radio show live over PA systems every day from noon to 2 p.m.
Andy Schneider fills a content hole. His content isn’t for everyone, it’s only for people who raise poultry and those people are loyal subscribers. They tune in everyday and they follow Andy’s every move. Almost every week, Andy and his family hit the road with his radio show. Armed with a microphone, headphones, and a laptop, Andy can broadcast from almost anywhere (that’s the power of BlogTalkRadio). A few years ago, he even broadcast from his car on the way to Nashville. When Andy comes to town, it’s a big deal in the backyard poultry community. Listeners and fans from all over come to see Andy live and in-person. A few dozen times a year, Andy broadcasts from a Tractor Supply store. Andy’s listeners show up in droves and next thing you know they’re purchasing a dozen baby chicks, chicken coops, chicken feed, incubators, and poultry supplies galore. Andy easily sells 100 new chicks at an appearance, and sometimes they sell out fast. The typical chicken owner spends $144 on feed alone each year. 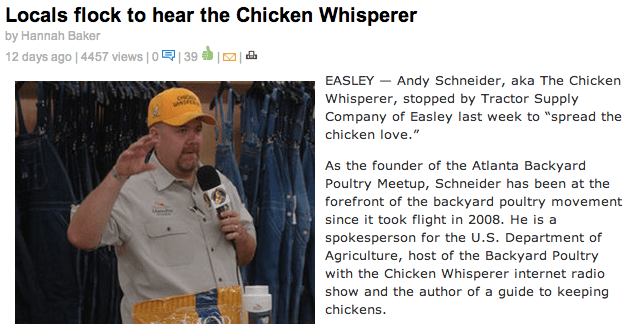 That means if Andy brings in 300 new customers, he just drove more than $40,000 in annual revenue for each Tractor Supply he visits in one day (not to mention all the other stuff poultry enthusiasts purchase over the course of their chick’s lifetime). By the way, chickens can easily live eight to 10 years, which means that over the life of the chickens, Andy sells $400,000 worth of chicken feed at each store he visits. Andy Schneider fills a content hole. One that drives real revenue where ever he goes. In today’s online world, creating and distributing commodity content doesn’t drive measurable results. Filling a content hole does. You need to ask yourself what deep insight and information the most passionate people in your audience want and need? Ask yourself, if you dive deep into your audience’s interests, how can you be more relevant, more often? How does your brand really add value to their life? Who’s your Chicken Whisperer? What if you filled a content hole for your audience? What would it mean to your business? Andrew Davis is a bleeding-edge marketing futurist and author for the publishing, entertainment, and consumer packaged-goods industries. His 20-year career has taken him from local television to The Today Show. He's worked for The Muppets in New York and marketed for tiny start-ups as well as Fortune 500 brands. Today, Andrew travels the world sharing his innovative ideas as a speaker, consultant and guest lecturer. Andrew's best-selling book, Brandscaping:Unleashing the Power of Partnerships includes more about Andy Schneider and Tractor Supply.